Harbourfront is a Toronto neighbourhood located on the northern shores of Lake Ontario but only steps away from the city's core. Harbourfront extends from Bathurst Street in the west, along Queen's Quay with its ill -defined eastern boundary being either Yonge street or York Street. Its Northern boundary is the Gardiner Expressway. Toronto's harbour has been used since the founding of Toronto for shipping and industrial purposes. Prior to the 1972 Federal election , Prime Minister Pierre Elliot Trudeau announced the Harbourfront project, which would expropriate the industrial port lands from York Street west to Bathurst Street, south of Queen Quay and convert them to a cultural and residential district for Toronto, similar to the the Granville Island district in Vancouver. The federal government has converted the industrial area to an area mixed with art galleries , performance spaces, boating areas and parks. The surrounding neighbourhood, formally industrial has been converted by private land developers into a series of condominium towers overlooking the project and Lake Ontario. Today, Harbourfront is an area booming with the growth of many new condomium towers both by the lake and north of the Gardiner express way. Easy access to transit makes it ideal for downtown commuters. Close to shopping, restaurants, Rogers Centre, Cn Tower and St.Lawrence market. Harbourfront centre: Which is made up of galleries, performance arts spaces, craft studios, cermaics, glass and metal workshops. Some of these spaces provide artist subsidezed work spaces for people at the begining of their career. Queens Quay Terminal: Which is a mixed use building which includes a Sobey's market, restaurants and shops which predominately catered to tourists. Toronto Music Garden: Designed by Julie Moir Messervey in collaboration with cellist Yo Yo Ma. The inspiration for the 3 achre park comes from Bach's "First Suite for Unaccompanied Cello" and the curving paths move visitors through six garden moments- Prelude, Allemande, Courante, Saraband, Menuett and Gigue. The paths evoke the different moods and themes of the music. The Canada Malting Silos: On the western edge of harbourfront lays vestage to the industrial past of the harbour as one of the original silos still stands. The Power Plant: Is one of Canada's leading contemporary non- collecting art spaces. It continues to advance the artistic culture of the city by hosting very diverse living artists from both Canada and abroad. It also has many educational programs, hosts public events and produces more than 40 artist books publications every year. Billy Bishop Airport:Allows you to catch a domestic flight just minutes away from your downtown condo. Pedestrian tunnel now makes walking to the airport so much easier. Jack Laten Ferry Terminal: Located at the foot of Bay street along Queens Quay is a ferry slip that provides transportation between mainland Toronto and the Toronto Islands. Swansea is primarily residential in nature, consisting of a mix of various housing types. Swansea's high-end homes are located either at the western edge of High Park overlooking Grenadier Pond, or on Riverside Drive and the Brule Gardens enclave bordering the Humber River. Swansea also contains a large number of semi-detached and detached homes and bungalows located mostly in the centre of the neighbourhood. The typical House of the area was built between 1905 and 1935. Swansea Village is the only Toronto neighbourhood that has its own community-run Town Hall. Swansea is also the only Toronto neighbourhood to have a lake, a river, and pond as its natural boundaries. Swansea's hilly terrain, winding roads and many mature trees accentuate the storybook houses that line residential streets of this neighbourhood. High park area of Toronto offers some of the best recreation and greenbelt view in the city, thanks to the close proximity of High Park, an expansive green lakeshore space populated with mature growth, hiking trails , sports fields, Kids playground and even a zoo! Ease of access to the rest of Toronto and the wider GTA is another plus. The downtown core can be reached via Lakeshore Blvd or the Bloor subway and various streetcar routes, and the rest of the GTA can be accessed via the nearby Gardiner Expressway; the 401 via Keele St. Nearby, eco-minded Bloor West Village, Roncesvalles Avenue and the Junction Gardens along Dundas Street West, are thriving commercial strips, but luckily well enough away from downtown to be generally free of packed crowds. Akin to main streets in small towns, these community spaces offer many great cafes, European bakeries, delicatessens, specialty food shops, pubs and restaurants, professional services, and utterly charming streetscapes that make a meandering walk or purposeful trip a real pleasure to behold. Save trees and trim your energy bill with the placement of trees around your home. The placement of this house and its decks was dictated by the trees, limiting the number that were cut during the construction. In return, the trees provide shade that keeps the house cool. Design for a small footprint. Chenchow Little Architects’ K-House in Sydney, Australia uses cantilevering to extend the home over its smaller footprint so that the owners can enjoy a spacious home without sacrificing outdoor space. And the benefits of tiny homes aren’t limited to purchase costs. If you’re living in a smaller home, chances are you’ll be decreasing your carbon footprint by spending less on heating, electricity and other utilities. Choose durable materials. The house’s cedar plank siding, which is resistant to pests and water, is both strong and low-maintenance. It’s beautiful gray patina also means infrequent repaintings. Unspecified VOCs from house paints are important in the creation of smog among other health effects include eye, nose, throat irritations, headaches, loss of coordination, nausea and damage to the liver, kidney, and central nervous system. By using low VOC paints you protect yourself from these health threats. Paints like this one from Farrow & Ball contain fewer atmosphere- polluting volatile organic compounds. In a house that uses open concept, you will get the mixed area between indoor and outdoor which is conventionally separated in common house concept. These mixed areas would be a great idea to let yourself bond into nature. If you want to use open concept for your house plans, the first thing you need to notice is what kind of open concept that you want. Try moving bedrooms to the lower level, this way your sleeping area will be shaded and cooler by the surrounding trees and enhance your overall feeling of privacy. With mature trees so close to the house, the bedrooms also don’t need curtains. Try adding a green roof. Green roofs, living roofs,vegetated roofs, eco roofs — whatever you want to call them, they are sprouting up everywhere lately, including atop residential homes. And with that increase in popularity comes general assumptions and misconceptions. For example, that green roofs are only for eco buff, they’re high maintenance and they’re experimental and risky. All untrue. Many west end neighbourhoods close to downtown have their waterfront view obstructed by the Gardiner highway. Mimico, on the other hand, is south of the highway and right on the lake. Mimico’s overall feel is a small town in a big city. 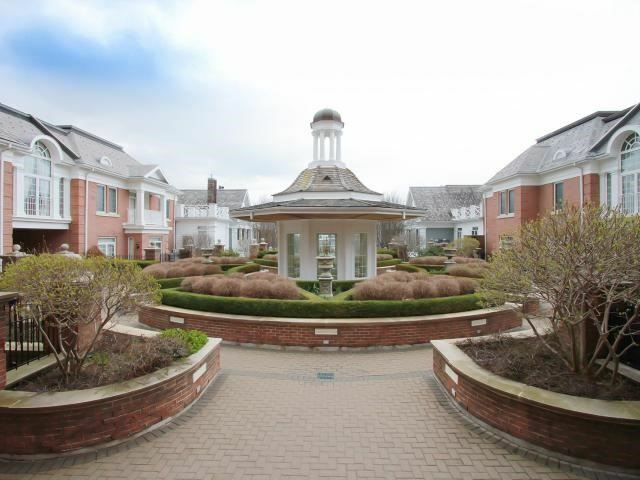 Surrounded by the Humber Bay Park Complex which is comprised of 138 ha. of park space divided into two large parks, one on the east (Humber bay Park East) and one on the west (Humber bay Park west). The park complex accommodates the Mimico Cruising Club, Etobicoke Yacht club, Humber Valley Sailing Centre. Humber Bay Park West features dog off leash area while Humber Bay Park East includes bike trails and a butterfly habitat made up of a diverse array of native plants and shrubs. Along with the conservation efforts being made to keep the lakeside as natural as possible there is a blooming arts community. Lakeshore Arts plays a key role in keeping community arts events going along with the growing number of local galleries and farmers markets that occur during the summer. It’s a great place to live for many first-time buyers and empty nesters and pet lovers! There are many condominium complexes to choose from some of which include Waterscapes at Waterview, Beyond the Sea, Nautilus and Ocean Club Tower. See below the for the Toronto Real Estate Boards Market Watch for the Mimico Area. Are Toronto Condos a good investment? Is the bubble in the Condo Market going to burst? These are common questions I get asked as a realtor. Let’s have a quick look at just what is happening in the markets for the first quarter of 2016. The rising trend for condo prices may well be the diametric opposite of what many market watchers were warning about as countless cranes busily infilled Toronto’s skyline with gleaming residential tower after residential tower stuffed with tens of thousands of 700-square-foot condo units. Yet despite the dire warnings of overbuilding, the market has held firm and prices have continued to grow in the first quarter. “Condo prices have posted respectable gains despite earlier concerns about the risk that the condo construction boom might flood the market,” RBC economists said in a Feb. 29 report on housing affordability. Some of the sources of stability – reasons why the record glut of new condos hasn’t triggered a crash are numerous, experts suggest. To start, the thought of long commutes on ever-more congested roadways continues to push more millennials into downtown living. The long-term demographic force of foreign immigration that’s underpinned the Toronto region’s economic growth continues to do the same for housing demand. And with prices for single-family homes climbing out of reach for an increasing share of buyers, the inevitable trickle-down effect is boosting condo sales. More recently, new mortgage rules implemented this year have made purchasing more expensive homes (those listed above $500,000) more difficult for first-time buyers, providing another support for the condo market. Finally, the tide of workers that poured into energy-producing regions when jobs were plentiful is now sharply reversing course. Workers are turning to Southern Ontario’s bigger and more diversified economy to find jobs. The exodus from Alberta, Saskatchewan and parts of Atlantic Canada has bolstered an already tight regional rental market, experts say, making finding tenants to fill condos an easier chore for landlords and investors.